There are 2 main types of renters insurance. Also, if you rent learn the what, who, why and how of renters insurance. While most people are willing to spend on health and life insurance, a lot of renters are often reluctant to buy renters insurance. The main reason behind such behavior is that most people are unaware of the multitude of advantages that come with investing in renters insurance. Owing to the unique benefits of renters insurance, it is essential for every renter to consider buying it before they rent out a property. Whether you are planning to shift apartments or moving to a new city, it is advisable to get renters insurance if you are planning to rent a property. However, before you go ahead and invest in renters insurance, it is necessary to make sure that you know everything about the insurance plan that you are going to invest in. You should have all the knowledge about what renters insurance is, why you should have it, and how it works. Furthermore, in order to make a wise and informed decision, you must also be aware of the different types of renters insurance available in the insurance market. Scroll down to read all about renters insurance and see for yourself why it is important to buy one! Just like every other type of insurance, renters insurance covers the cost of your expenses. However, it is specially designed for renters or tenants. It provides coverage for any sort of damage to your personal possessions. Whether your possessions are damaged, stolen, or lost, renters insurance has got your back! It also covers for injuries or any other unfortunate incident that happens at your place and is decided as your fault. If an individual gets injured in such an incident, that person can file a claim with your insurance company. Under your renters insurance, your insurance company will be liable to cover the treatment costs for the injured person. Keep in mind that if you do not have renters insurance, the responsibility of paying for the treatment expense will fall on your shoulders. Ultimately, the money will go out of your pocket! Furthermore, in case the injured person chooses to take legal action and files a law suit against you, your renters insurance will cover all of your legal expenses. However, if your insurance plan has a set limit for the amount of money that the company is liable to pay, it will only cover the expenses to the limit set in your policy. Another important thing to note is that renters insurance also provides compensation for alternative living. A house can become uninhabitable due to a number of reasons. A storm could damage it or an incident involving fire can damage it to the extent that it may become uninhabitable for a period of time. Do you have an emergency alternative accommodation option to deal with such situations? No fret – your renters insurance covers this as well! It provides you with compensation for arranging alternative accommodation. For all these reasons, every renter should play it safe and buy renters insurance to enjoy coverage in case of an unfortunate incident in their rented home. This is an important question to consider – Who really needs renter insurance? Well, the answer is simple and straight forward: renters insurance is necessary for every renter! It not only provides you with a backup plan for difficult situations but allows you to have peace of mind. By buying renters insurance, you can forget about having to worry about financial problems in face of an unfortunate accident occurring at your place. You can even make your insurance claim in case a burglary takes place at your place! Furthermore, it is important to note your landlord’s insurance does not cover a number of expenses for the house tenants. For instance, it may cover the damage to the property but it will not provide coverage for damage to your possessions. In order to ensure your possessions are protected and you are liable to ask claim, it is essential to have renters insurance. Also, keep in mind that a landlord may require you to get renters insurance in order to rent their property to you. This makes it essential for every tenant to acquire renters insurance for their rented property. Renters insurance helps you pay your cost if you suffer a loss on your rented property. The compensation amount you receive depends on two things. When talking about loss involving personal goods or possessions, you have the liberty to either buy a coverage that offers the “actual cash value” for your goods, or you can opt to invest in replacement cost coverage. In both cases, your renters insurance will cover for most of the losses you suffer. Keep in mind that certain items, like jewelry, collectibles, or valuable paintings, may have a set value limit. It is also possible that the insurance company requires you to take extra insurance measures for such items to provide insurance coverage in case of theft or damage. You may also be responsible for some out-of-pocket expense. Due to the unique set of advantages and benefits that come with investing in a rental insurance plan, it is important for every tenant to buy one. However, it is not wise to simply go out to an insurance company and invest in the first renter’s insurance policy that you find. It is extremely important to take your time to familiarize yourself with the types of renters insurance and understand the terms and conditions that you will be signing off on. Luckily, when it comes to understanding the types of renters insurance, it won’t take you a lot of time because there are only two main types. Let’s take a look at each of them. Only then you will be ready to choose an insurance plan that fits all your requirements and suits you the best! If you opt for an Actual Cash Value plan, you can make a claim for any sort of damaged that you suffer. Your insurance company will be liable to replace your possessions. However, they can minus an amount for depreciation. In other words, the company will minus the reduction in the actual value of the goods due to use and damage taken prior to the incident. Also, it is important to note that the insurance company pays up only up to the amount of limit set for your possessions. As discussed earlier, Actual Cash Value insurance plan has a set limit for the amount of money that the company is liable to pay. This means that this plan will only cover the expenses to the limit set on your policy. Replacement Cost Insurance Plans are the same as the Actual Cash Value Plans except that in case of an accident on your rented property, they pay the actual cost of replacing your possessions. This means a replacement cost renters insurance plan allows you to make a claim for possession replacement without any deductions for depreciated cost. However, just like the Actual Cash Value renters Insurance Policies, your Replacement Cost Insurance will also have a set limit for the payable amount. It will cover expenses only up to the set amount. It is important to note that replacement Cost plans are generally more expensive as compared to the Actual Cash Value Plans. In fact, these plans cost about 10% more than the Actual Cash Value ones. Nonetheless, it is totally it to invest in a renters insurance plan that offers to replace your possessions without deducting the costs for depreciation! Renters insurance offers coverage for a lot more than just possessions, and legal and medical expenses in case of an accident that you are held responsible for. There are a number of things that are covered under the renters insurance. Here’s a list of things that most Renters Insurance plans cover. Keep in mind that while renters Insurance covers most of these losses, it is not necessary that it provides coverage for all of them. Therefore, it is advisable to have a detailed discussion with a representative of your insurance company to learn about everything covered in your renters insurance policy. 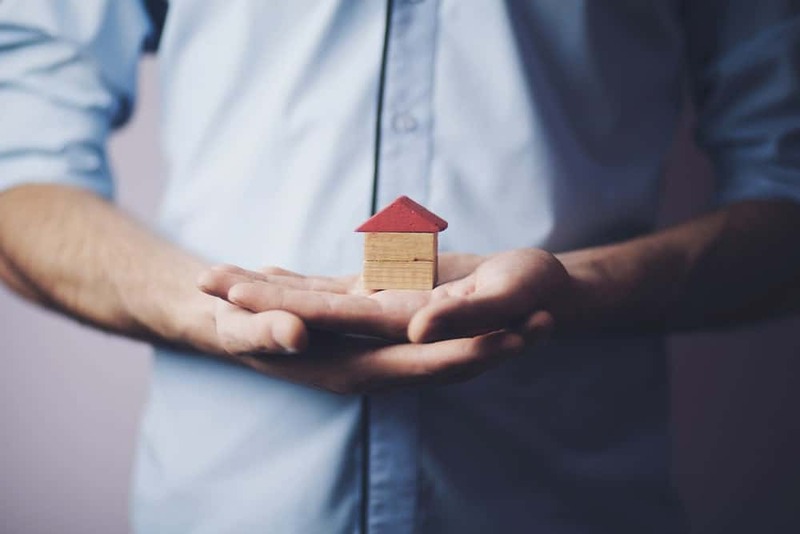 Just like with home insurance policies, there are a number of things that a renters insurance plan is not liable to cover. Again, it may vary from company to company or depend on your particular plan. Therefore, it is important to have an explicit talk with a representative of your insurance company about the things that your policy does not cover. Here’s a list of things that are not covered by most renters insurance plans. Tip: When you are buying a renters policy, make sure that you don’t forget to log in all of your personal belongings. It is important to make an extensive list of all the goods and possessions that you want to cover in your renters policy. You can even videotape or photograph each room to make sure your insurance company covers everything! Now that you know all about renters insurance, when are you going to invest in one? Remember, taking measures before the catastrophe occurs is always better than thinking about mitigation strategies when it’s already too late! It’s time you make a wise decision today and invest in a renters insurance to have some peace of mind!